It is with pleasure that Union Symphony partners with the Union County Youth Ballet for their twenty-sixth production of The Nutcracker. With your help, we raised funds to support the 2018 Nutcracker Performance. Union Symphony & Union County Youth Ballet’s The Nutcracker was held the weekend of Friday, December 7-8th at the Batte Center on the campus of Wingate University. The Nutcracker by Piotr Tchaikovsky is based on the story by E. T. A. Hoffmann and choreographed by Marius Petipa. This ballet has been delighting audiences since 1892. The magical story of young Clara and the toys under her family’s Christmas Tree—The Nutcracker in battle with the Mouse King and their travel to the Land of Sweets—includes some of the best-loved melodies ever written. In Tchaikovsky’s colorful score (“Waltz of the Flowers”, “Dance of the Sugar Plum Fairy”), both the celesta and bass clarinet were introduced to the symphony orchestra. Union Symphony Orchestra annually performs a Christmas concert with Central United Methodist Church Chorus under the direction of long-time symphony supporter, James O’Dell. This performance is a highlight each year for Union Symphony. This year, the performance was held on Sunday, December 2, 2018 at 5 PM. James A. O’Dell is the Director of Music/Organist at Central United Methodist Church, Monroe – a position he has held for over eight and a half years. 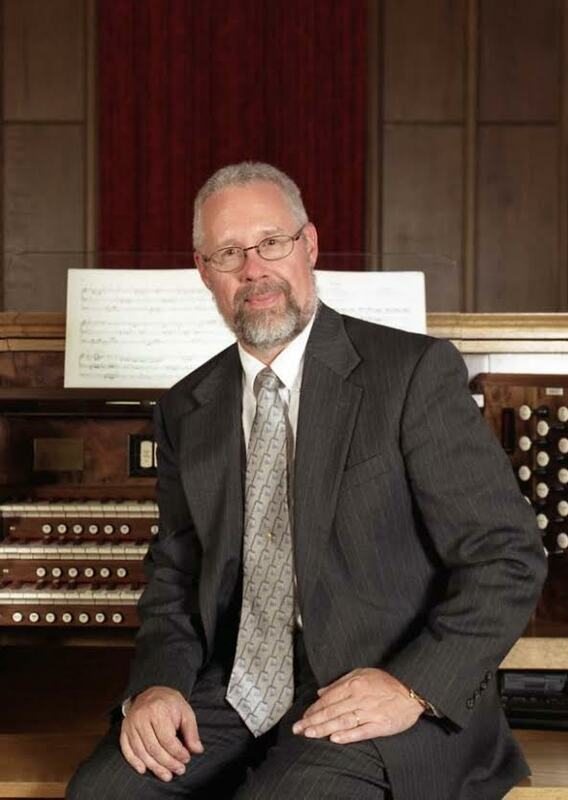 Currently in his 33rd consecutive year as a Music Minister/Organist, he has held full-time positions in Indianapolis, IN, Victoria, TX, and Lancaster, PA.
Mr. O’Dell’s primary music instructors have included Emily Vanderpool (Eastman School of Music, Rochester, NY), Robert Hobstetter (Nazareth College of Rochester, NY), Craig Hella-Johnson (University of Texas at Austin) and Barbara Harbach (University at Buffalo) where he received the Master of Music degree in Organ Performance. As a member of the American Guild of Organists, he has held the chapter positions of Treasurer, Newsletter Editor, and Sub-dean. His active participation in this organization has included numerous public organ recitals, choral and organ workshops. 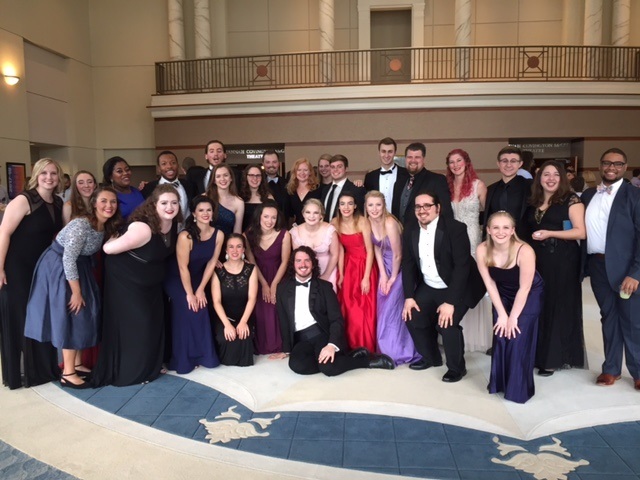 Union Symphony Orchestra performs with Wingate University Opera each year at Wingate University’s Batte Center. Jessie Wright Martin, mezzo-soprano, has enjoyed great success singing on both the lyric and concert stages. She has performed with Opera Carolina, South East Kansas Symphony, Baton Rouge Symphony, Union Symphony Orchestra, Pensacola Opera, The Ohio Light Opera, and Hays Symphony Orchestra. Dr. Martin has also performed numerous roles in both opera and operetta. She has been the winner of several awards and scholarships including the Katherine Dunham Baton Rouge Opera Guild Scholarship, the Rotary Club Scholarship, and the Jules F. Landry Scholarship, as well as being named a finalist in the Rose Palmai Tenser Mobile Opera Competition. She was the winner of the 2004 Kansas NATSAA competition. She can be heard on both the Albany Records and Operetta Archives labels on several recordings including Ruddigore, The Gondoliers, Bluebeard, Mlle. Modiste, and The Mikado. In 2104, she made her solo debut at Carnegie Hall on the Weil Recital Hall Stage. Dr. Martin holds her Doctorate of Musical Arts degree from Louisiana State University. She also holds a Master’s in Music in Vocal Performance from Louisiana State University and a Bachelor’s in Music in Vocal Performance from The Florida State University. 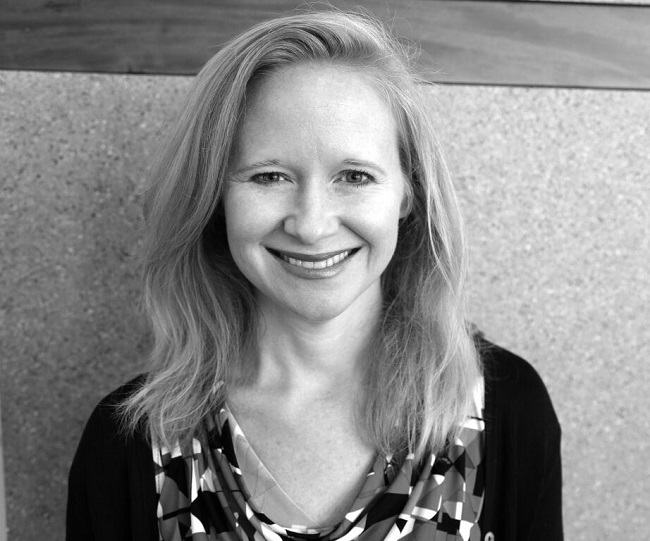 Dr. Martin is currently on the faculty at Wingate University serving as Associate Professor of Voice and Director of Opera. In 2011, Dr. Martin received the Debra O’Neal Award for Excellence in Teaching. Dr. Martin is an AT.I. certified teacher of the Alexander Technique. Union Symphony String Ensemble performed Saturday, September 22, 2018 for the WDAV Classic Harvest Series at Matthews Community Farmers’ Market.